Following on from our earlier post, Seth Klarman on Liquidation Value, we present the second post in our series on Klarman’s Margin of Safety: Risk-Averse Value Investing Strategies for the Thoughtful Investor. As we discussed in our first post, Klarman is the founder of The Baupost Group, a deep value-oriented private investment partnership that has generated an annual compound return of 20% over the past 25 years. Klarman detailed his investment process in the iconic Margin of Safety. The book is required reading for all value investors, but is long out-of-print and notoriously difficult to obtain. Once a security is purchased at a discount from underlying value, shareholders can benefit immediately if the stock price rises to better reflect underlying value or if an event occurs that causes that value to be realized by shareholders. Such an event eliminates investors’ dependence on market forces for investment profits. By precipitating the realization of underlying value, moreover, such an event considerably enhances investors’ margin of safety. I refer to such events as catalysts. Some catalysts for the realization of underlying value exist at the discretion of a company’s management and board of directors. The decision to sell out or liquidate, for example, is made internally. Other catalysts are external and often relate to the voting control of a company’s stock. Control of the majority of a company’s stock typically allows the holder to elect the majority of the board of directors. Thus accumulation of stock leading to voting control, or simply management’s fear that this might happen, could lead to steps being taken by a company that cause its share price to more fully reflect underlying value. Catalysts vary in their potency. The orderly sale or liquidation of a business leads to total value realization. Corporate spinoffs, share buybacks, recapitalizations, and major asset sales usually bring about only partial value realization. Value investors are always on the lookout for catalysts. While buying assets at a discount from underlying value is the defining characteristic of value investing, the partial or total realization of underlying value through a catalyst is an important means of generating profits. Furthermore, the presence of a catalyst serves to reduce risk. If the gap between price and underlying value is likely to be closed quickly, the probability of losing money due to market fluctuations or adverse business developments is reduced. In the absence of a catalyst, however, underlying value could erode; conversely, the gap between price and value could widen with the vagaries of the market. Owning securities with catalysts for value realization is therefore an important way for investors to reduce the risk within their portfolios, augmenting the margin of safety achieved by investing at a discount from underlying value. Catalysts that bring about total value realization are, of course, optimal. Nevertheless, catalysts for partial value realization serve two important purposes. First, they do help to realize underlying value, sometimes by placing it directly into the hands of shareholders such as through a recapitalization or spinoff and other times by reducing the discount between price and underlying value, such as through a share buyback. Second, a company that takes action resulting in the partial realization of underlying value for shareholders serves notice that management is shareholder oriented and may pursue additional value-realization strategies in the future. Over the years, for example, investors in Teledyne have repeatedly benefitted from timely share repurchases and spinoffs. Tomorrow we present the final installment in the series, Seth Klarman on Investing in Corporate Liquidations. Seth Klarman, the founder of The Baupost Group, an exceptionally well-performed, deep value-oriented private investment partnership, is known for seeking idiosyncratic investments. The Baupost Group’s returns bear out his unusual strategy: Over the past 25 years, The Baupost Group has generated an annual compound return of 20% and is ranked 49th in Alpha’s hedge fund rankings. 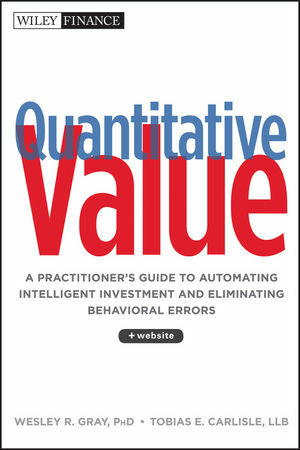 The 249-page book is especially hot among those seeking jobs with value-oriented investment firms. “You win serious points for talking Klarman,” says a newly minted MBA who got his hands on a copy prior to a late-round interview with a top mutual fund firm. “It’s pretty much assumed that you’ve read Graham and Dodd and Warren Buffett.” (Benjamin Graham and David Dodd’s 1934 work, Security Analysis, is a seminal book on value investing, while Buffett’s annual letters to shareholders are considered gospel.) “The book belongs in the category of Buffett and Graham,” says Oakmark Funds manager Bill Nygren, a collector of stock market tomes. In the book, Klarman carefully explains the rationale for an investment strategy grounded in the value school. He also discusses at some length several sources for value investment opportunities. 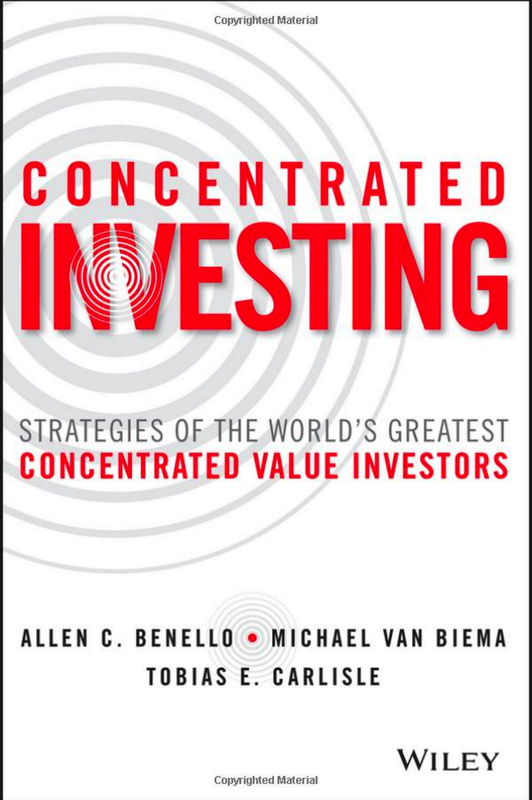 Why is the book germane to Greenbackd’s ongoing discussion of liquidation value investment? One source of investment opportunity identified by Klarman is stocks trading below liquidation value. The liquidation value of a business is a conservative assessment of its worth in which only tangible assets are considered and intangibles, such as going-concern value, are not. Accordingly, when a stock is selling at a discount to liquidation value per share, a near rock-bottom appraisal, it is frequently an attractive investment. A liquidation analysis is a theoretical exercise in valuation but not usually an actual approach to value realization. The assets of a company are typically worth more as part of an going concern than in liquidation, so liquidation value is generally a worst-case assessment. Even when an ongoing business is dismantled, many of its component parts are not actually liquidated but instead are sold intact as operating entities. Breakup value is one form of liquidation analysis, this involves determining the highest value of each component of a business, either as an ongoing enterprise or in liquidation. Most announced corporate liquidations are really breakups; ongoing business value is preserved whenever it exceeds liquidation value. How should investors value assets in a liquidation analysis? An orderly liquidation over time is virtually certain to realize greater proceeds than a “fire sale,” but time is not always available to a company in liquidation. When a business is in financial distress, a quick liquidation (a fire sale) may maximize the estate value. In a fire sale the value of inventory, depending on its nature, must be discounted steeply below carrying value. Receivables should probably be significantly discounted as well; the nature of the business, the identity of the customer, the amount owed, and whether or not the business is in any way ongoing all influence the ultimate realization from each receivable. When no crisis is at hand, liquidation proceeds are usually maximized through a more orderly winding up of a business. In an orderly liquidation the values realized from disposing of current assets will more closely approximate stated book value. Cash, as in any liquidation analysis, is worth one hundred cents on the dollar. Investment securities should be valued at market prices, less estimated transaction costs in selling them. Accounts receivable are appraised at close to their face amount. The realizable value of inventories – tens of thousands of programmed computer diskettes hundreds of thousands of purple slippers, or millions of sticks of chewing gum – is not so easily determinable and may well be less than book value. The discount depends on whether the inventories consist of finished goods, work in process, or raw materials, and whether or not there is the risk of technological or fashion obsolescence. The value of inventory in a supermarket does not fluctuate much, but the value of a warehouse full of computers certainly may. Obviously a liquidation sale would yield less for inventory than would an orderly sale to regular customers. The liquidation value of a company’s fixed assets can be difficult to determine. The value of plant and equipment, for example, depends on its ability to generate cash flows, either in the current use or in alternative uses. Some machines and facilities are multipurpose and widely owned; others may have value only to the present owner. The value of restaurant equipment, for example, is more readily determinable than the value of an aging steel mill. In approximating the liquidation value of a company, some value investors, emulating Benjamin Graham, calculate “net-net working capital” as a shortcut. Net working capital consists of current assets (cash, marketable securities, receivables, and inventories) less current liabilities (accounts, notes, and taxes payable within one year.) Net-net working capital is defined as net working capital minus all long-term liabilities. even when a company has little ongoing business value, investors who buy at a price below net-net working capital are protected by the approximate liquidation value of current assets alone. As long as working capital is not overstated and operations are not rapidly consuming cash, a company could liquidate its assets, extinguish all liabilities, and still distribute proceeds in excess of the market price to investors. Ongoing business losses can, however, quickly erode net-net working capital. Investors must therefore always consider the state of a company’s current operations before buying. Investors should also consider any off-balance sheet or contingent liabilities that might be incurred in the course of an actual liquidation, such as plant closing and environmental laws. A corporate liquidation typically connotes business failure; but ironically, it may correspond with investment success. The reason is that the liquidation or breakup of a company is a catalyst for the realization of the underlying business value. Since value investors attempt to buy securities trading at a considerable discount from the value of a business’s underlying assets, a liquidation is one way for investors to realize profits. A liquidation is, in a sense, one of the few interfaces where the essence of the stock market is revealed. Are stocks pieces of paper to be endlessly traded back and forth, or are they proportional interests in underlying businesses? A liquidation settles this debate, distributing to owners of pieces of paper the actual cash proceeds resulting from the sale of corporate assets to the highest bidder. A liquidation thereby acts as a tether to reality for the stock market, forcing either undervalued or overvalued share prices to move into line with actual underlying value. We’ll continue our discussion on Seth Klarman and his approach to liquidation value investment later this week.